A very warm welcome to the Southern Ghost Society, Whether you are a sceptic or a believer, complete novice or experienced investigator, we offer a great night that you will never forget. We arrange ghost hunts throughout the country so we may be investigating a haunted location near to you! All the team members of Southern Ghost Society are, first and foremost, paranormal enthusiasts. Our experienced team leaders and ghost hunters will do everything possible to make your ghost hunt a night to remember and we are confident that your experience will inspire you to join us again on future events to continue your discovery of ghostly activity. So why not join the Southern Ghost Society, for a fantastic nights of paranormal investigation into some of the UK’s most historical and haunted locations, including castles, prisons, forts, museums and manor houses. It's free to become a member ! 43% believe they have been contacted by the dead or have contacted the dead themselves. 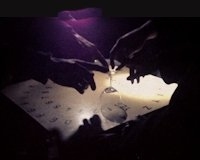 If, at the moment, you are unsure whether ghosts exist, then what better reason to book onto one of our events and make up your mind once and for all. A number of our members joined our society as sceptics or "don't knows", yet we keep seeing them book on our events so who knows. Our objective is not to persuade you either way but to offer you the chance to investigate the possibility that ghost do exist. Registered members are informed by email as and when ghost hunt event dates are confirmed. 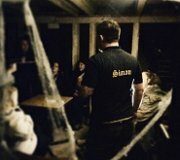 Being a member of our ghost hunt society gives priority booking and occasional discounts on selected ghost hunt events. Members and guests on our events will have full use of our equipment so can also carry out their own paranormal investigations. Please see our equipment page. Seen programs on ghost hunts on the television or heard people tell their personal stories ? Well why not join us for a first-hand experience! Our wide range of events, both those currently available for booking and those planned for the future can be viewed here. Whilst we cannot guarantee that the spirits of the past will always grace us with their presence on our events, our experiences detailed in Events - past ghost hunts, show the fantastic, proven success we have had and we would love you to join us to help us make further discoveries. Southern Ghost Society confirms that everything that happens on our events is real with no tricks, stunts or play acting. Our ghost hunts are not run as fright nights and nobody will jump out of the darkness and scare you. We would very much like to welcome you to a fun, friendly and different night out at some of the South's most fascinating locations. All you need to bring along is warm clothing, a torch, yourself and an open mind.